HISA in partnership with Elsevier Australia invites you to attend a special breakfast presentation and networking opportunity. We have been able take advantage of a number of visiting international thought leaders exploring topical areas on variability of care, patient pathways and clinical decision support. Designed for clinical leaders, health administrators, health IT implementers, health informaticians and researchers this session will highlight two important aspects in the rapidly changing healthcare environment where knowledge and data is growing exponentially and clinical decision support is becoming more and more critical. Clearly it is already impossible for healthcare providers and patients to keep current with credible, evidence-based approaches to care. The result is enormous variability in the care provided patients not just across the globe, but even within the same hospital. This combined with our challenges of content silos across patient pathways will be highlighted, particularly for patients with multiple chronic conditions and co-morbidities. How can we empower patients and providers to keep up with “the best approaches” to patient care? How can we reduce the variability that represents a constant threat to our patients’ safety and welfare? Join our presenters who will share international perspectives and reflect on practical application in Australia as we explore this topical area. Share your experience, participate in a Q&A and learn from this unique breakfast event. 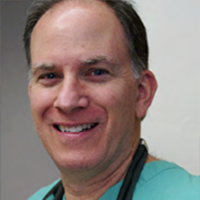 Dr Peter Edelstein – MD, FACS, FASCRS – is board certified by both the American College of Surgeons and the American Society of Colon and Rectal Surgery. Prior to joining Elsevier Clinical Solutions, Dr Edelstein was as an award winning educator and surgeon who practiced in both academic and private settings. He then spent greater than a decade in Silicon Valley serving as an executive (including President & CEO) in venture-backed, medical device start-up companies. Next, he served as a physician executive leader in a large non-profit health system. Dr Edelstein then joined Elsevier, helping guide MEDai, a leading clinical predictive analytics company. Dr Edelstein is now proud to serve as Chief Medical Officer for Elsevier Clinical Solutions, partnering with healthcare leaders in improving the value of care delivery through the integration of Elsevier’s powerful reference and workflow provider solutions and advanced patient engagement products. In addition to authoring Own Your Cancer and other books and articles, Dr Edelstein is a nationally recognised and engaging expert on patient empowerment, appearing regularly on television, radio, and in print. 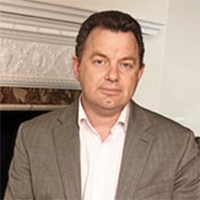 Dr Robert Dunlop – Clinical Director of Elsevier Clinical Solutions. Robert has been leading the development of the Arezzo active clinical decision support technology since 2000 at business solutions software company InferMed, which is now part of Elsevier. Robert has an extensive clinical background in general internal medicine and palliative care, having worked in several major London teaching hospitals and at St Christopher’s Hospice. Before joining InferMed, Robert had been involved in developing knowledge bases and clinical decision support applications with the Advanced Computation Laboratory, Cancer Research UK. Register today for this unique breakfast event. Numbers are limited.